This makes one of the most sensuous, feminine bracelets going. It is done on a base of a flat "caterpillar" crocheted bracelet. 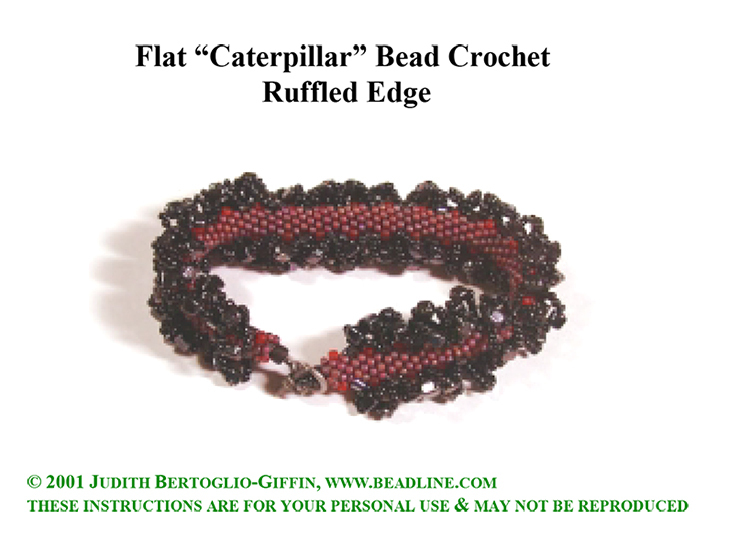 These instructions assume that you know the Caterpillar technique "Bead Crochet FLAT Caterpillar Bracelets".